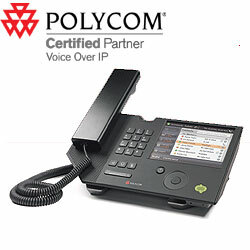 Polycom CX700 IP phone delivers remarkable high definition audio quality that provides the ultimate voice communications experience. With its sleek, high-quality handset and its full duplex, hands-free speakerphone, the CX700 IP phone enables crystal-clear, natural conversations without echoes or feedback. Featuring a fully embedded Microsoft Office Communicator 2007 client, the Polycom CX700 IP phone provides direct, on-device access to the features and capabilities of Office Communications Server 2007, all using a bright, touch-screen color display.